RPC M&H Plastics Ellough has recently been awarded a Merit in the International Safety Awards for 2019 by the British Safety Council. The International Safety Awards recognise organisations from around the world which have demonstrated their commitment to the health, safety, and wellbeing of their employees. 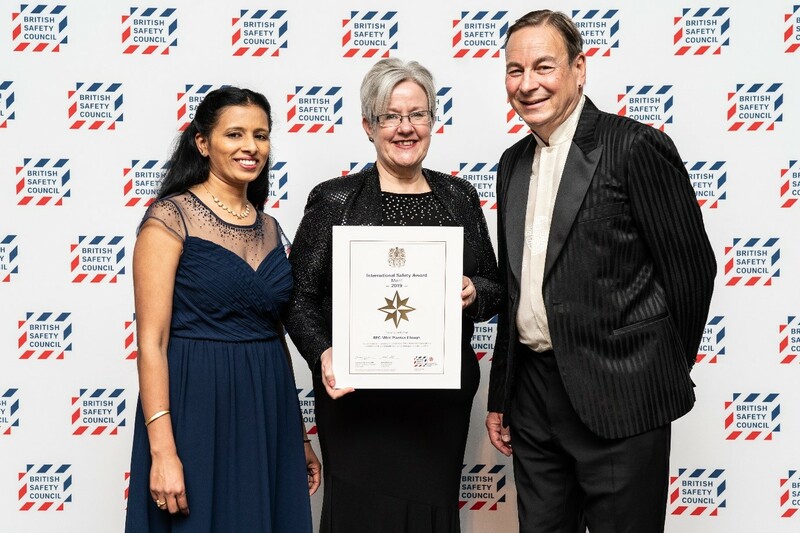 The award recognises companies that show excellence in health and safety areas such as Mental Health Awareness, Hazard Reporting, Risk Assessments, and Occupational Health. The Merit award was given to M&H Plastics Ellough which is above a pass rating, proving M&H goes above and beyond when it comes to the health and safety of its workforce. At the time of writing, M&H Plastics Ellough has gone 1130 days without a workplace accident which is yet another testament to the sites operational safety. Sharon Hill, HR and H&S Manager – This is a great achievement for the site and is as a result of all employees commitment to making the workplace a safer place to be. We look forward to implementing further improvements and enhancing and extending our commitment to mental health and wellbeing programs during the next year. Contact us today for peace of mind when sourcing your packaging, knowing M&H Plastics practises award-winning health and safety.